So, you forgot your Worksheet password, but you can still access the Spreadsheet file? The difference between a Spreadsheet and a Worksheet is that an Excel Spreadsheet file contains Worksheets that some people call “tabs”. See screenshot below. 4. Cluck Run (“play” button) or press F5 on your keyboard to run the code. This will unprotect the worksheet on which you ran this code. 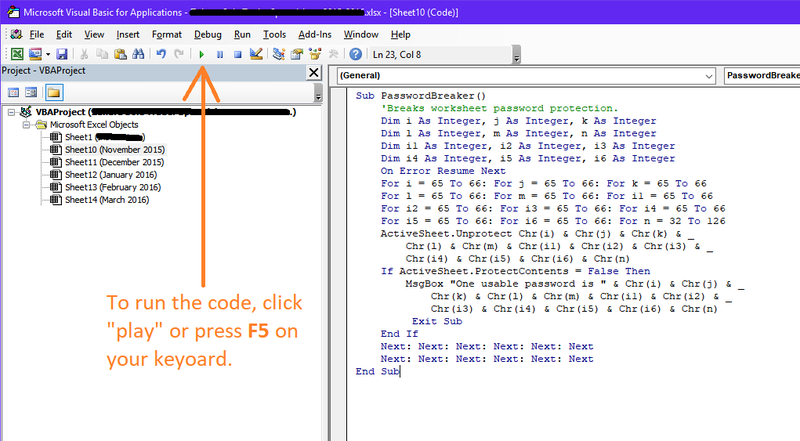 You will see a small pop up window with the password you need to use to unprotect the remaining worksheets. 5. 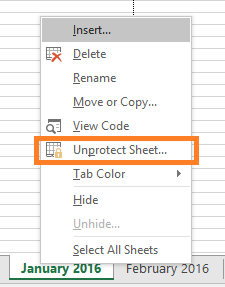 Use the above password (it will be different in your case, probably something like AAABAABBBBBv) to unprotect any other worksheet that is protected in this Spreadsheet file. Job done. Couldn’t be easier.